Australia is being told of 'dramatic' shifts to its society and institutions because of the Asian Century. Being changed by Asia is not new; but the fact that this is being openly discussed, even embraced, does mark a departure from previous habits. Often in Australia, the big shifts start quietly so as not to alarm the voting customers. Think the end of White Australia or building a new economic relationship with Japan after World War II. The safe political position is to proclaim that nothing will change while gently adjusting the steering wheel. A prime example was the Holt Government's hushed action in 1966 to start dismantling the White Australia walls while staunchly denying that basic immigration policy was shifting. Whitlam rightly gets most of the credit because not only did he totally inter the old discriminatory edifice, he actually proclaimed the action loudly. The Holt position has had some influence on the way politicians in recent decades have promised that Oz would engage or enmesh with Asia without having to alter anything of Australia. The fact that this was never quite true didn't lessen the strength of the assurances from figures as different as Paul Keating and John Howard. In their long battle over ownership of the Asia story, Paul Keating and John Howard both stressed the enduring strengths Australia offered the region. Keating said Australia would go to Asia as 'a society which is rare in its cultural diversity, richness and tolerance, and a country which is strong and integrated with the region around it'. The Howard mantra was that Australia faced 'no choice between its history and its geography'. The opportunities and challenges that accompany this rise are being and will be felt across all aspects of Australian society and our institutions, not only the economy. 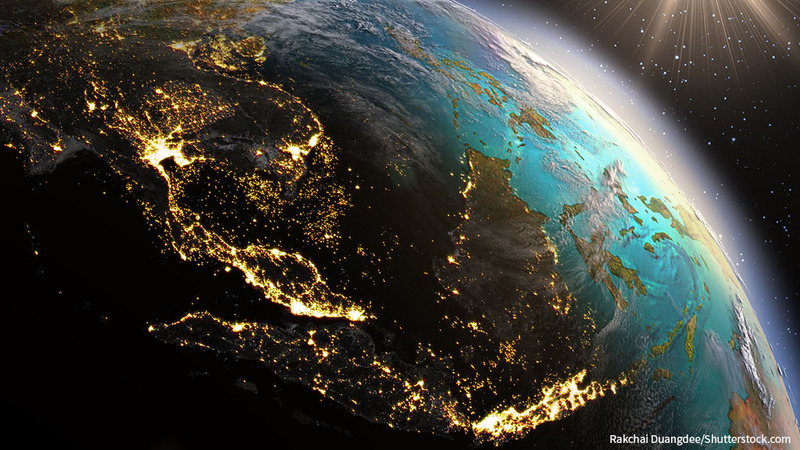 Asia's growing weight and influence will bring dramatic changes and dramatic opportunities. When Dr Watt uses words like 'dramatic' something is afoot. His conclusion is that the Australian public service is one of many institutions that will have to transform to become more outward looking and 'genuinely Asia capable'. Australia is entering a new phase of the Great Asia Project that has obsessed every leader since the 1972 (the starting date is John Howard's, the title is mine). Australia knew Asia existed before 1972, but didn't want to have to translate geography into policy. The importance of the Great Asia Project is the acceptance that Australia must function as part of Asia, not apart from Asia. The current shift is that discussion is now about what Asia will do to Australia, rather than what Australia will offer to Asia. The positive in this is that Australia's ability to shift has long been evident, even if in the past our leaders didn't always want to talk about it too loudly as they were turning the wheel. Australia, as the fourth most urban country in the developed world, 'has a talent for modern cities that is rare'. Australia's ability to create liveable cities and suburbs, he argues, is on par with our agricultural productivity and post-war multicultural immigration. Civic culture combines a practical democratic temper with inclusiveness and scepticism which are excellent traits to foster economic inventiveness and creativity. Australia has developed a 'local version of the Protestant work ethic' which has contributed to the nation's economic exceptionalism. Professor Carroll mixes this with 'the sense of the Australian way of life' – an ability to be both relaxed and serious – to produce economic dynamism and a broad culture. That sounds like a country with the ability to adapt to the Asian Century. Photo by Flickr user State Records NSW.